Though it may seem like a broken record, the snook fishing is still smoking hot in the St. Lucie and Indian Rivers. The bait, which has been a surefire bet in recent weeks, is still live pilchards. They are also catching a few redfish in the St. Lucie River. Along the beaches in the Jensen area, the whiting and croaker bite has been excellent using sand flea Fish Bites. Along the beaches in Jupiter the pompano fishing is fantastic. Anglers are catching their limits using sand fleas and Fish Bites. The snook fishing has been good in the Loxahatchee River and at the inlet. They are hitting live baits and if fishing at night Red Tail Hawk lures are working well. Fishing at the Lantana Bridge has been slow the last week with anglers catching a few croaker and sand perch on frozen shrimp. Out on the lake, the bass fishing is still good with hot spots being the Monkey Box, Harney Pond and Little Grassy areas. Swim jigs and poppin frogs are working well. Anglers should be cautious fishing these areas as the lake level has dropped and they are relatively shallow. 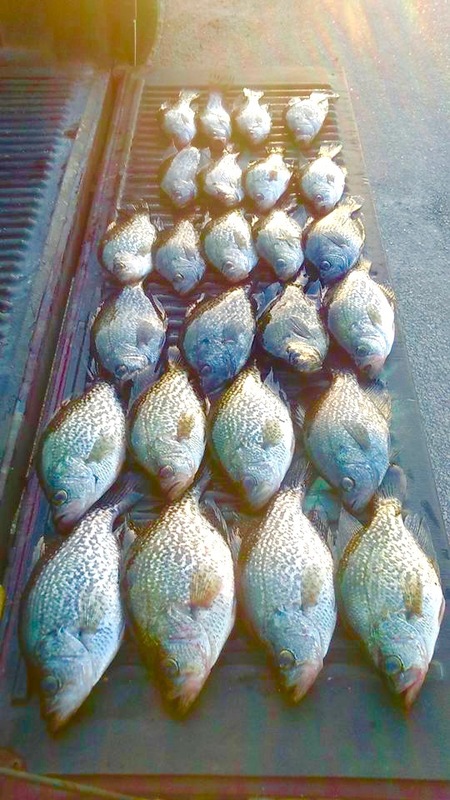 The crappie bite is still slowed down a bit, but again they are biting at the mouth of the Kissimmee River in 12 to 14 feet of water.